The city of Porto, Portugal — famous for its production of port wine — might be small in size, but it’s big on flavor and scenic splendor. It took three visits to Portugal for me to finally experience one of its most alluring places: Porto. And the wait was worth it. Located at the mouth of the Douro River — which winds through the nearby Douro River Valley wine region — the country’s second-largest city is the hub of its legendary port production. It’s also home to photogenic landmarks and satisfying cuisine that complement afternoons and evenings seeped in local viticulture. 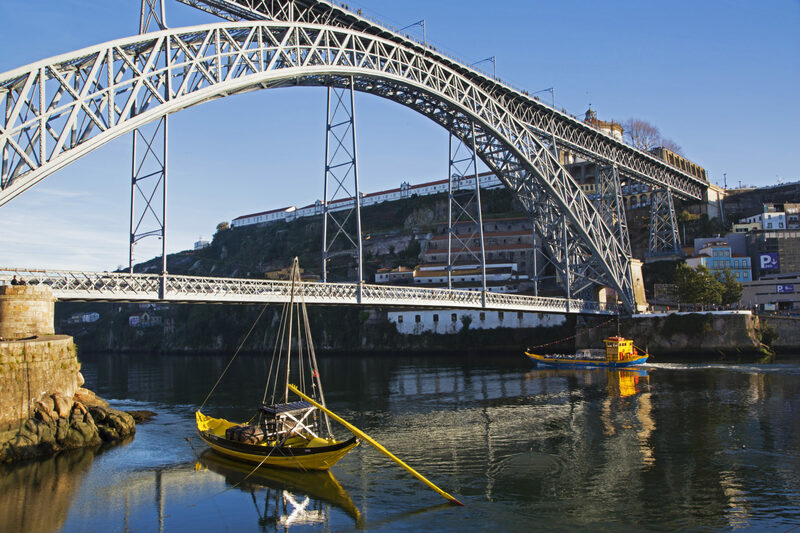 As I pleasantly discovered, Porto is best experienced one sip, one bite and one memorable landmark at a time. When I arrived in Porto on a sunny October day, I was filled with anticipation. Everyone I know who’d been there before had loved it. And if the city was anything like any of the other locales I’d visited on my first two trips to Portugal, I was about to be charmed — and slightly buzzed. 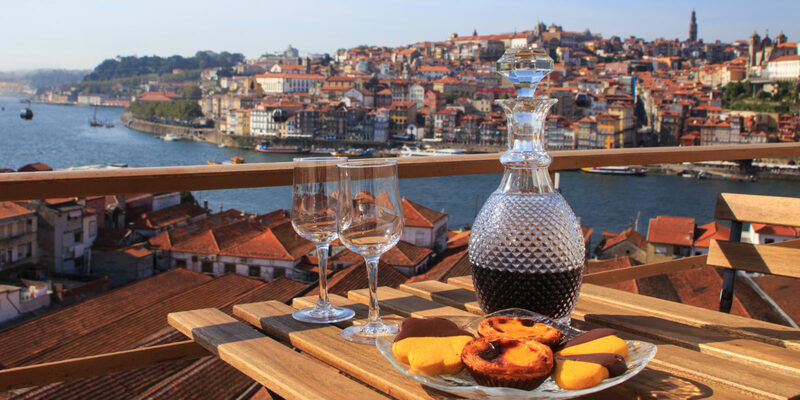 Eager for a firsthand lesson in port production, I headed for the holy grail of civilized sipping: the oak barrel-lined lodges and cellars set into the terraced banks of Vila Nova de Gaia, directly across the river from historic Porto. 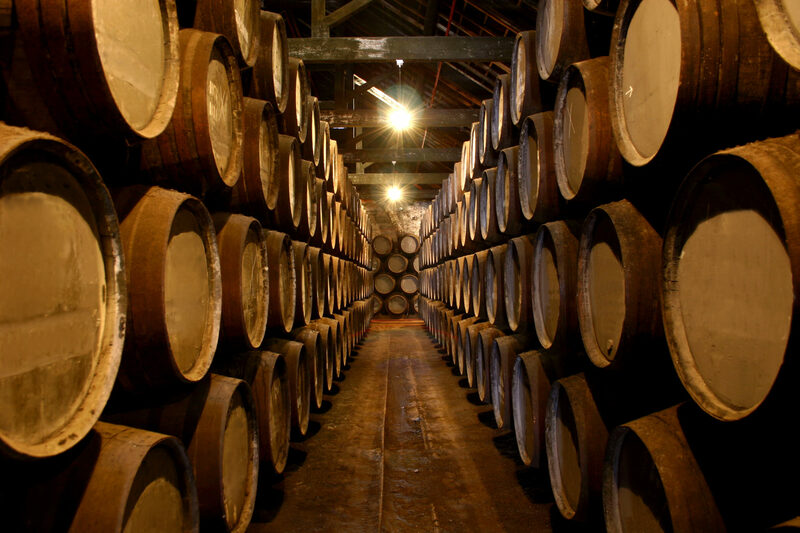 This is where the British first began exporting port hundreds of years ago. What better spot to get the scoop than at Taylor Fladgate, whose roots here date to 1692? During my tour, I learned that the Douro Valley has been producing wine for more than 2,000 years. In 1756, it became the world’s first vineyard area to be demarcated, and port’s international reputation grew from there. 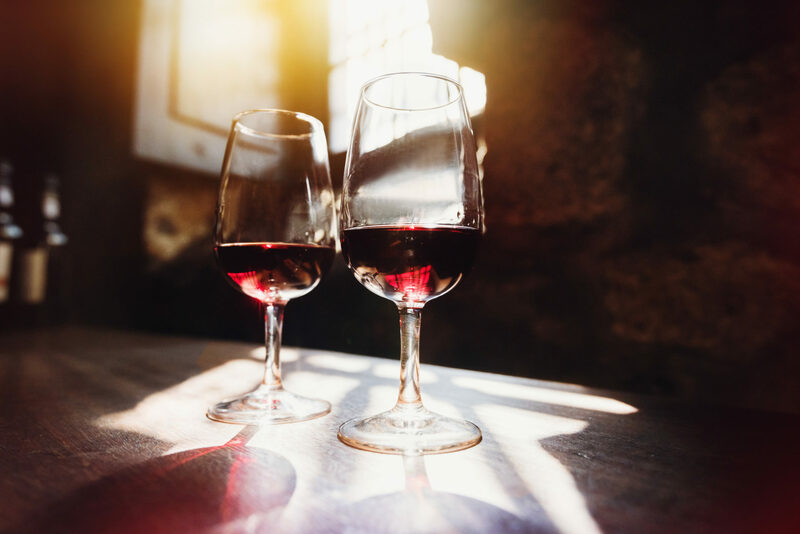 The fortified wine is blended with a bit of brandy (a distilled grape spirit) during fermentation; it can take as long as 40 years to achieve its distinctively round, sweet, smooth characteristics. In between bites of cheese and dark chocolate, I tasted a mellow 30-year-old Tawny, a blended Vintage Port and a fruity First Estate Reserve. I even tried the limited-edition Scion, a rare port Taylor Fladgate acquired from a wine estate after it had been aging for more than 150 years. Across the river, historic Porto was now bathed in the glow of an autumn sunset — its warmth matching the precious ports I was sipping. After a good night’s rest, I was ready for a day of sightseeing. 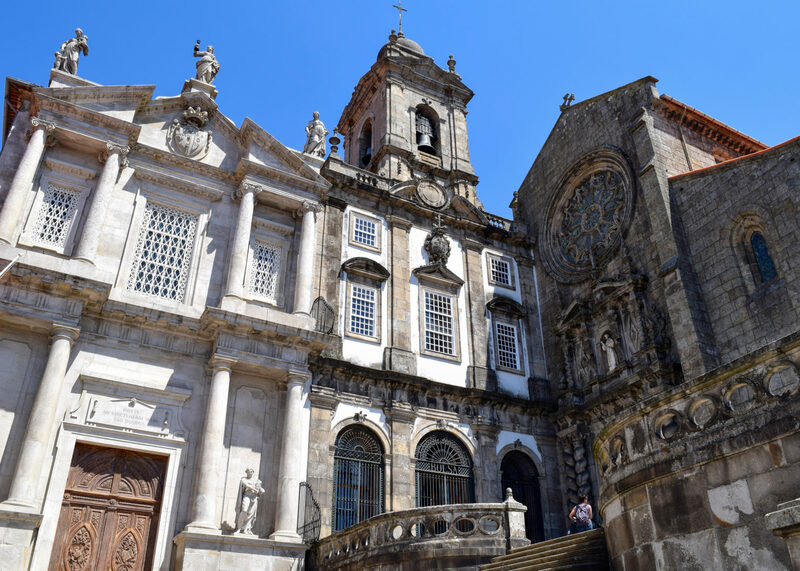 I met my guide, Filipa, and we headed to a trio of the Porto’s most famous churches. First up was the Church of Sao Francisco, which is gothic on the outside but gloriously baroque on the inside, with gilded wood carvings of saints, monks and cherubs everywhere. More austere was the 900-year-old Sé Cathedral, notable for its twin bell towers and architecture that combines Roman, gothic and baroque styles. The third sacred structure: 18th-century Clérigos Church, whose baroque bell tower is a landmark on the Porto skyline. You can climb to the top for a 360-degree view if you’re up to the challenge of ascending 230 steps. Next, Filipa and I strolled past the colorful buildings of the Ribeira district toward the Dom Luís I Bridge. The double-decker structure was designed in 1886 by a student of Gustave Eiffel (whose Eiffel Tower debuted in Paris in 1889). When you look left down the river, you can also see the Dona Maria Pia Bridge, built in 1877 and attributed to Eiffel himself. I was tempted to take the first bridge’s top-level pedestrian walkway back to the wine lodges of Gaia for a bit more port sipping, but I had other landmarks to visit. The bookstore Livraria Lello proved intoxicating in an entirely different way. Dating back to 1906, it features elaborate carved-wood details everywhere — including on a show-stopper of a staircase. I could’ve lingered for hours flipping through books and absorbing the divine ambience. But something equally captivating awaited: the 19th-century Palácio da Bolsa (Stock Exchange Palace). This UNESCO World Heritage Site, designed in a neoclassical style, wows visitors with its glass-domed Hall of Nations and kaleidoscopic, gold-walled Arabian Room. Every great city has a tantalizing food scene, and I experienced Porto’s in two very different ways. For something traditional, my guide Filipa suggested D. Tonho, located in the heart of Ribeira. She recommended that I try the alheira, a garlicky bread and chicken sausage. Other specialties include cod casserole and pork with clams. The ambience was rustic yet elegant, and the food was hearty and satisfying. On my second night, I indulged in the tasting menu at Gastronomic Restaurant, the only eatery in Porto with two Michelin stars (technically, it’s across the river in Gaia). 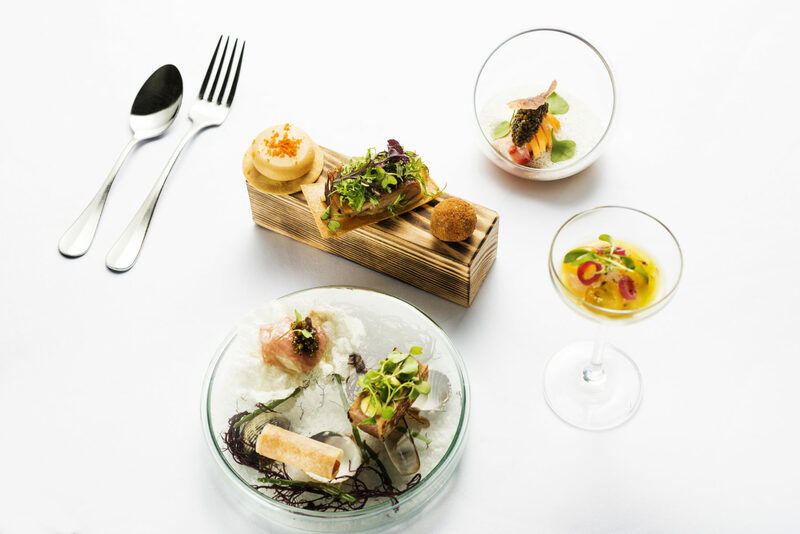 The chef’s imaginative contemporary cuisine incorporated favorite Portuguese ingredients like cod, clams, octopus and pork in sublimely inventive courses. Paired with local wines, it was a meal made in céu (heaven). Wear rubber-soled walking shoes or sneakers when touring the dark, centuries-old aging cellars of Vila Nova da Gaia, as the ground can be uneven. Savor the flavors of Portugal with a guided tour available through the Marriott Vacation Club Destinations® Exchange Program.